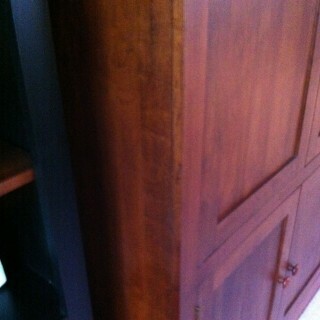 Footboard meets the staples hiding underneath a boxspring during a move. 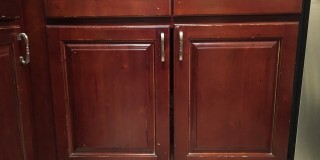 Age and wear and tear had left it’s mark on this kitchen cabinet. 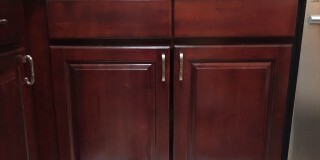 But some TLC from the Wood and Leather Doctor (and a lot of cherry tinted lacquer) had it looking like new again. 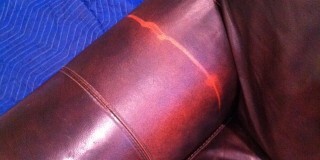 The arm of this leather chair had the clear coat and color layers completely ripped away by a deodorizer plug-in. 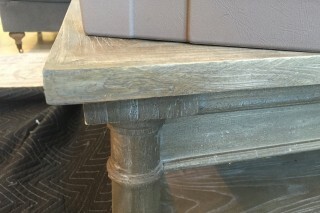 Some careful blending of dyes and topping off with clear gloss leather lacquer did the trick. 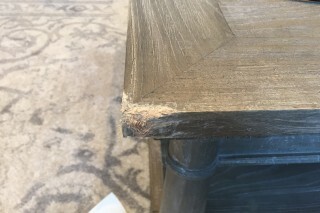 A dog had a grand time with the corners of this lovely table. 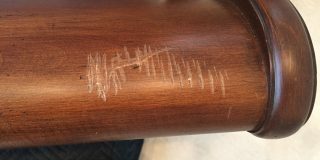 No match for some patience and care from the Wood and Leather Doctor. 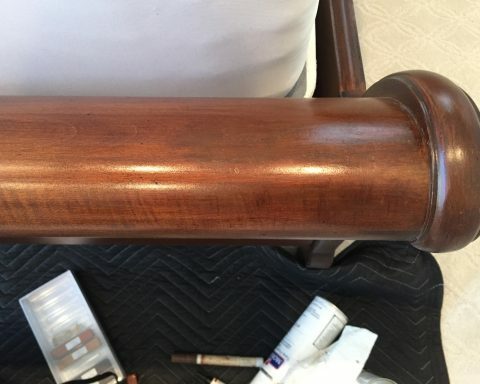 The Wood and Leather Doctor restored this stained vinyl chair to like-new condition. 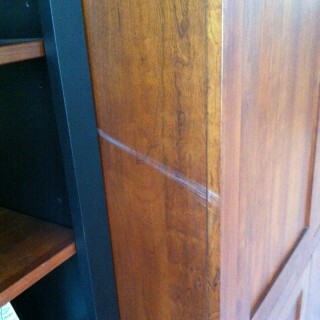 A moving company scratched this bookcase while moving into this nice family’s new home.